Get out cycling with our community bike hire scheme. Donation only fee. 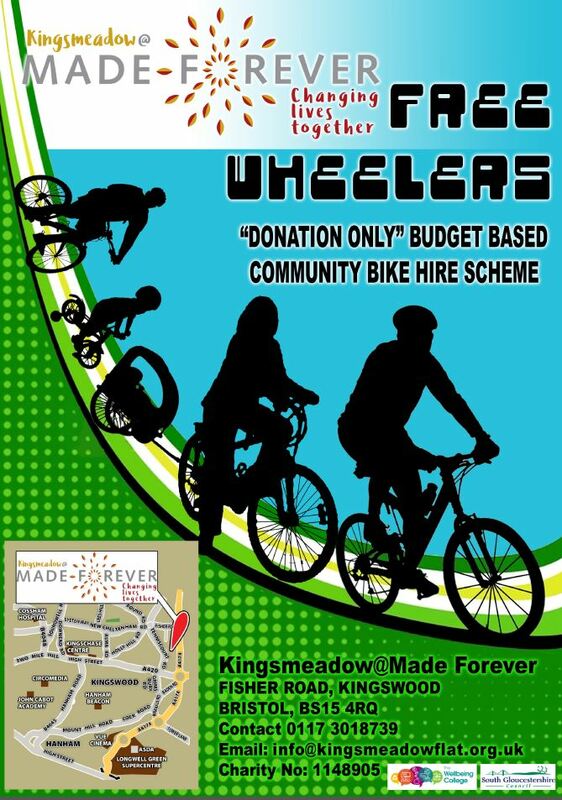 If you don’t have a bike and would like to go on a bike ride with your family or just need transport to get somewhere, contact Kingsmeadow@MadeForever to get what you need! Free of charge, proof of ID required plus utility bill. Available to hire: Adult bikes, junior bikes, baby trailers, baby seats and helmets and bike lock.